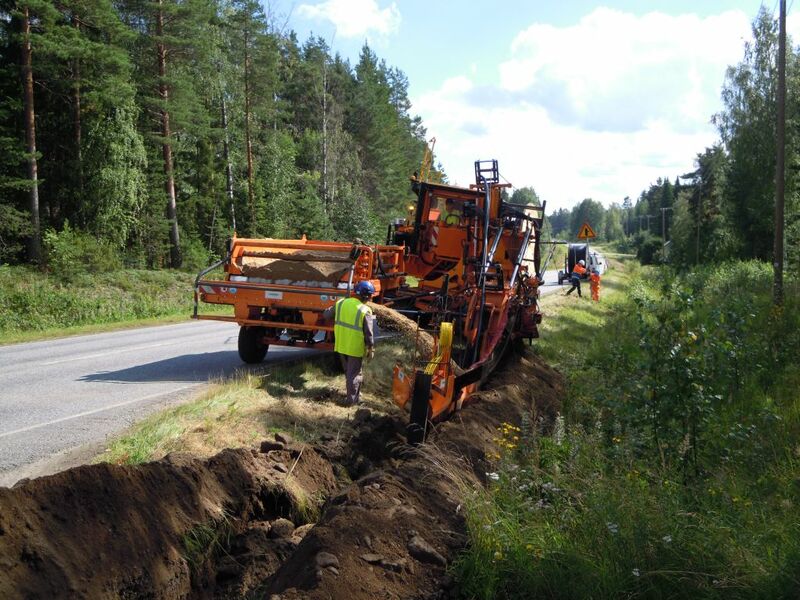 Simultaneous performance of trenches and mechanical laying for the deployment of networks (telecom, electricity, drainage, water, sanitation, gas, etc.) in rural environments. Slope correction of the tool.